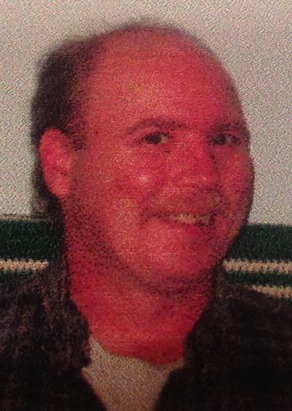 Lisbon Falls, ME - Charles "Vinny" Moon, 56, of Lisbon Falls passed away on February 25, 2017 after a long illness. He was known around town and by his friends as Vinny, to his family he was lovingly referred to as “Sonny”. He was a genuinely kind soul to all, especially his loved ones. He grew up around the Brunswick area where he worked as a cook for Bowdoin College for many years. His love of cooking carried on all through his life. Nothing made him happier than preparing a meal for his family. One would find him on any day surfing the TV for cooking shows, most of the time subjecting all around him to watching his favorite show “The Chew”. He was known for his warped sense of humor and one liners. Never having children of his own he spoiled his nieces and nephews with love and encouragement. They were his pride and joy and always ingrained in them the importance of being a good and kind person. As the oldest of five siblings he was the glue that held everyone together. He had the ability to create his own unique relationship making each of them special. In later year's he settled in Lisbon Falls where his parents lived. There he met his love of over 10 years Mary Freve. Besides Mary he is survived by his Mother; Wilma Moon, Sisters; Rita Gordon and her husband Mike, Jerrianne Moon and her husband Philip Whitney, and Jeannette Moon Walker all of Wiscasset. He also leaves his nieces Ellie, Michelle, Chrystine, Noelle, Jennifer; nephews, Chris, Cameron, Sam, Jeffrey and a great nephew Alestare as well as many cousins in Maryland. He was predeceased by his father, Donald J Moon and a younger brother/sidekick, Donald S Moon. Relatives and friends are invited to attend a Memorial Service in the Chapman Room at Gracelawn Memorial Park, 980 Turner Street, Auburn on Friday, March 3, 2017 at 11:00 a.m., where he will be laid to rest next to his brother.